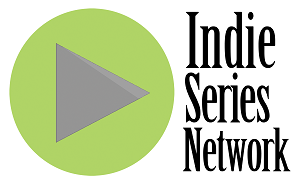 Indie Series Network: Online Campaign for Season Two of "He’s With Me" by Jason Cicci and Director Sebastian La Cause has Launched! Online Campaign for Season Two of "He’s With Me" by Jason Cicci and Director Sebastian La Cause has Launched! 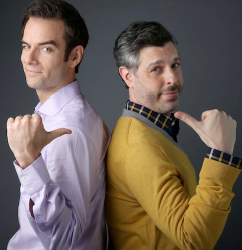 Monday Morning Productions has launched its online campaign to fund Season Two of the popular web series “He's With Me”. The series is directed by Broadway performer Sebastian La Cause (Rocky Horror, Chicago, Once Upon a Mattress), the award-winning creator/director/star of the web series “Hustling”. Created by and starring Jason Cicci, “He's With Me” observes the stumbling blocks inherent in navigating the waters of modern manhood. In the series' first season, we met straight ad-man Ted Adams (Bradford How) who formed an unlikely friendship with gay theatre critic, Martin Adams (Cicci). Newlyweds Eddie (John Cramer) and Val (Darcie Siciliano) dealt with juggling their careers as the prospect of creating a family loomed large while jack of all trades, Benny Costa (Ryan Duncan of Broadway's Shrek and Altar Boyz) provided guidance and comedic irritation. As the first season came to a close, all seemed to be going right for Martin, finding his footing as a director after losing his job. Ted had received a promotion and began dating the lovely Henny (Veronica Reyes-How) and Eddie and Val seemed content to remain just Eddie and Val after a pregnancy scare. In the cliffhainging finale, Benny professed his love for Martin while Ted's old flame Julie made a very unexpected visit. 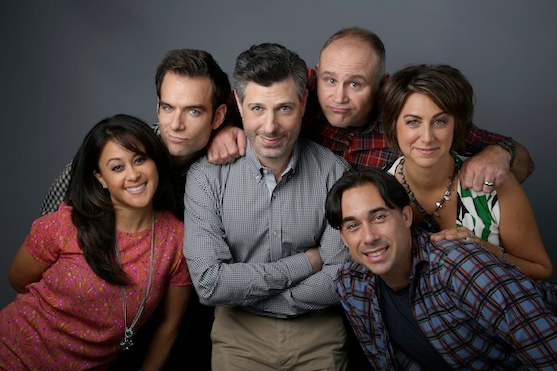 “He's With Me” premiered on YouTube at youtube.com/user/HWMtheseries in June 2013. The show currently has over 2000 subscribers and more than 102, 000 views. “He's With Me” has been nominated for many awards and has been named an Official Selection by the Indie Series Awards, LA Web Fest, the Rome Web Awards, and both the Seattle and Denver Gay & Lesbian Film Festivals. Monday Morning Productions' past television credits include the 59th Annual Theatre World Awards at Studio 54, which aired on PBS. Past theatre productions have included Hate Mail featuring Cicci and Danielle Ferland, the world premieres of Closet Chronicles with Emmywinner Marilyn Sokol, 7 Reece Mews and Cicci's him & her and A Month of Sundays. Actorman Entertainment is known for producing the multi-award winning series “Hustling”, which was acknowledged as Best Dramatic Series at the 2014 Indie Series Awards and as a 2013 Webby Award Honoree in the drama category and over its two previous seasons has been the winner of three Indie Series Awards (Best Ensemble – Drama, Best Actor –Drama 2012 and 2013) and five Groovy Awards (two Grooviest Actor Awards and Hottest Hunk for it's creator Sebastian La Cause, Grooviest Guest Star for Gerald McCullouch and Grooviest Drama). Its sophomore season garnered 7 Indie Soap nominations, Best Writing, Best Series - Drama, Best Actor - Drama, Best Actress - Drama, Best Supporting Actress, Best Ensemble - Drama and Best Soundtrack. The series stars notable names from stage and screen including Daphne Rubin-Vega, Wilson Cruz, Gerald McCullouch, Stephen Guarino and the shows creator/writer/director, Sebastian La Cause.